NASHVILLE, Tenn. — As the Cumberland River flows westward through Music City toward the Ohio River, it usually is a shimmering, soothing companion to many of the city’s historic and tourist sites, but in early May 2010 it was anything but that. Supercharged by 19 inches of rain in just two days, the Cumberland rushed over its banks, killing 10 people in Nashville and surrounding Davidson County, 21 people in the rest of Tennessee and in two adjacent states and caused $2.3 billion in property damage, according to the National Weather Service. Nissan Stadium and Bridgestone Arena, homes of the city’s NFL and NHL teams, respectively, were damaged, as was Opryland. 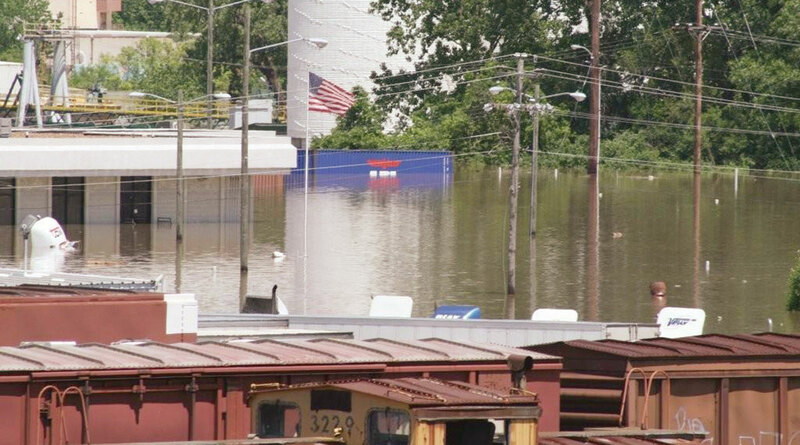 For Dave Manning, president of TCW Inc. and the new chairman of American Trucking Associations, the floodwaters paid no attention to his ever meticulous planning as they struck his company’s facilities. “Our buildings here were constructed 4 feet above the 100-year flood plain, but this was a 1,000-year flood,” Manning said while offering a tour of his Visco Drive container yard and operations center. His Visco facility is bounded on the north by the Cumberland, whereas the nearby Stanley Street warehouse and office is a bit higher up. Parts of Visco were under 13 feet of water, Manning said. He knows because he could see only the top slivers of trailers that were 13 feet, 6 inches tall. “The water was 4 feet high inside [Visco]. Wading through the office, you could feel the water get warmer as you walked by an electrical plug,” he said. Manning learned that refrigerated trailers and sealed containers float. He assumed that the insulation in reefer trailers provides buoyancy. “The lights on parked trucks started turning on. It was eerie,” Manning said. Apparently, the water completed the circuits on the lights, even though the switches were off. The Stanley Street warehouse is mainly used for cigarettes and can store more than 100,000 cases. Water never entered the facility, but workers had prepared the product for quick loading in case water threatened the warehouse. The company’s biggest loss was millions of dollars worth of Nissan auto parts. Manning said the manufacturer’s managers were angry until they personally witnessed the evidence of the flood’s extent. The Mannings recalled that farms near theirs had horses that were stuck in fields, too scared to move because the water was up to their bellies and then a little more. Having survived the great flood, Manning said TCW has a redundant, off-site backup for information technology that is built to be tornado-proof. He’s also proud of his hometown. He said the city got nowhere near the attention that New Orleans received after Hurricane Katrina in 2005, but he was moved by Nashvillians’ efforts to help each other. “Nashville took care of itself,” he said.